The retail and pharmacy chain just launched its own mobile payment app because why not. Apple Pay is making headway with big retail chains, many of which have made the switch to NFC-equipped payment terminals and either have already or will soon start supporting Apple’s mobile payment system. But there are still some notable hold-outs: Walmart is one, and this week CVS announced its own solution, called CVS Pay. CVS Pay is a new feature in the CVS Pharmacy app for iOS and Android that puts three separate cards in one spot. Instead of pulling out your debit card, ExtraCare rewards card, and Health Savings Account or Flexible Spending Account cards for pharmacy pick-ups, you can just use your phone. Like Walmart Pay, CVS Pay generates a two-dimensional barcode that the cashier scans, after which you select the card you’d like to use to pay. 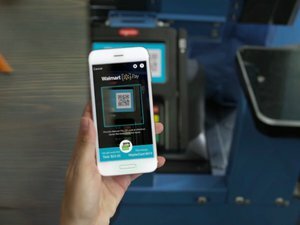 It’s not as seamless an experience as Apple Pay, but in our Walmart Pay tests, we found it’s not all that cumbersome either. Our phones are already clogged with too many apps, so a retailer has to offer an incentive to use a brand-specific app over a mobile site or instead of paying with a card. Starbucks has it down pat. Walmart is hoping to do the same. CVS Pay could succeed, simply because of its pharmacy tie-in. Customers can manage their prescriptions directly within the app, from refill requests to prescription verification information, and use their HSA account to pay without pulling out a card. CVS was a founding member of the Merchant Customer Exchange, which was working on its own mobile payment solution called CurrentC. That app is for all intents and purposes now dead. But before it faltered, CVS was committed to supporting the retailer-backed app, and the chain immediately cut off support for Apple Pay right after its launch in 2014. Now CVS is going it alone with a solution that might actually solve a pain point for its customers. In a twist, CVS Pharmacy now manages all of Target’s pharmacies. Target is poised to support Apple Pay later this year. That means you’ll be able to use Apple Pay at Target proper, but not at Target pharmacies. Weird. CVS Pay is rolling out in Delaware, New Jersey, New York, and Pennsylvania now and will expand to all of its stores later this year.